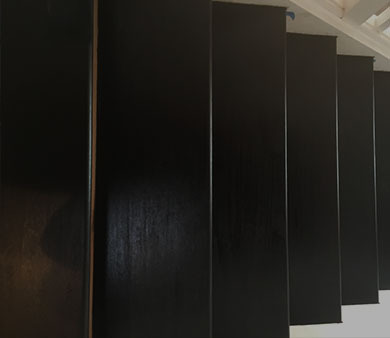 If you follow interior design trends you’ll be familiar with the Hampton’s style internal stairs - which is a dark tread with the risers as a lighter colour or painted white. The Hampton’s style is timeless and reflects Australia’s relaxed and coastal living. Bringing this style into your Queensland home will make you feel like you’re on a luxurious beach holiday year-round. The raw, unpolished stairs were giving the home a plain and simple look - however adding the two-tone, the style has instantly transformed these stairs into a classic and elegant feature. 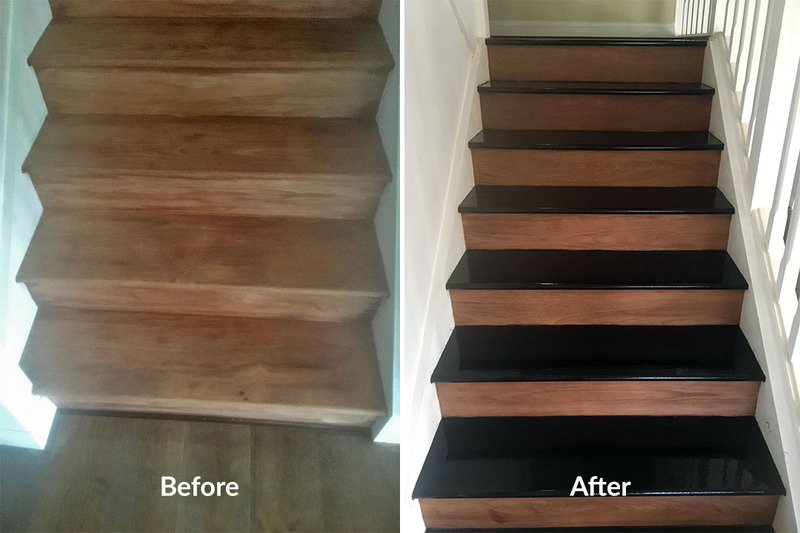 Give your stairs the luxury treatment - give us a call on (07) 3378 8522 or request a free quote to give your interior a brand new look.